No-fuss fashion is what it's all all about. 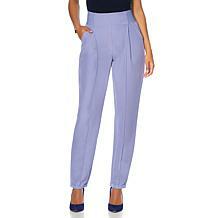 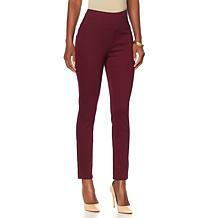 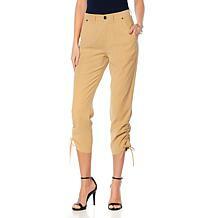 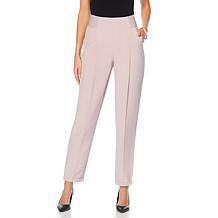 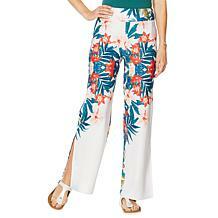 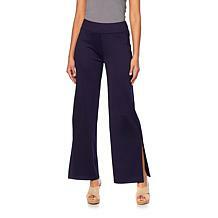 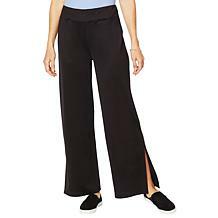 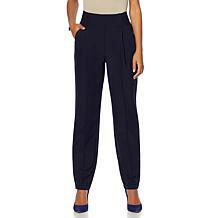 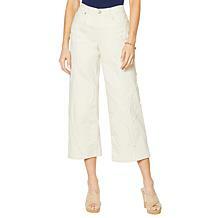 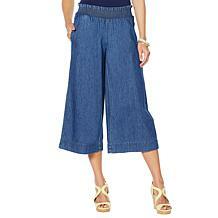 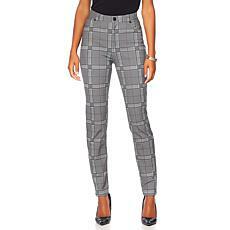 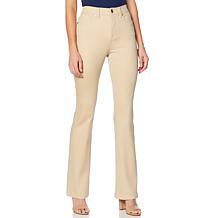 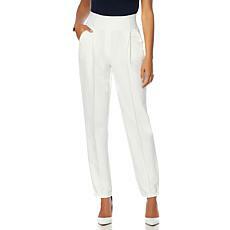 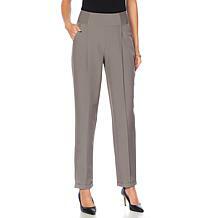 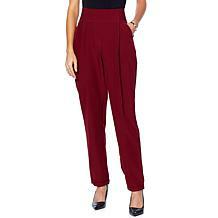 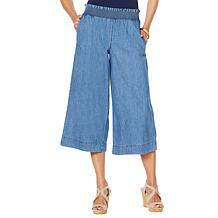 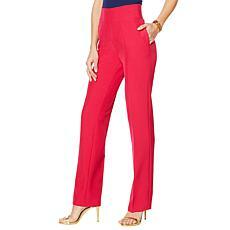 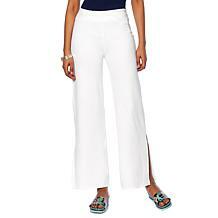 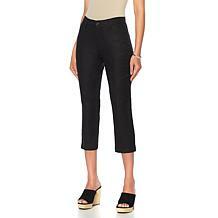 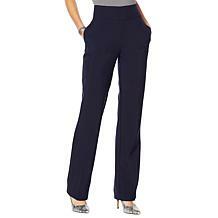 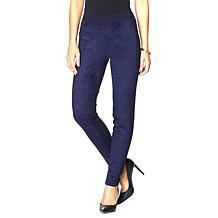 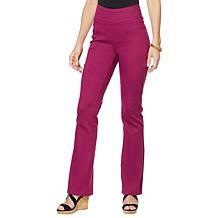 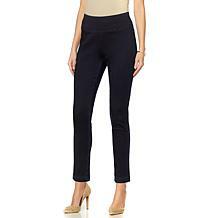 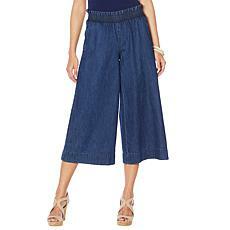 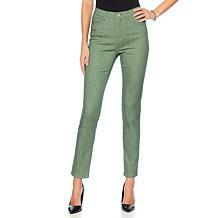 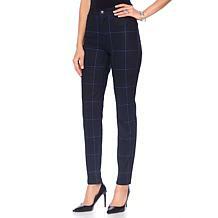 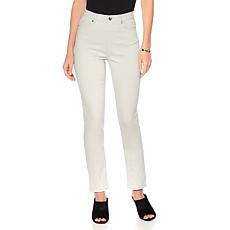 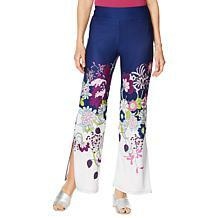 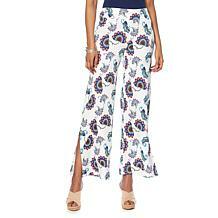 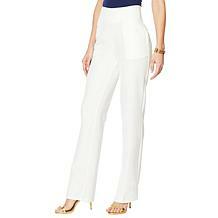 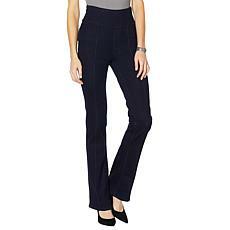 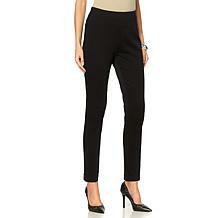 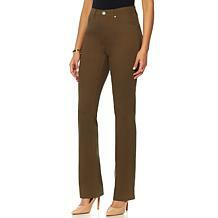 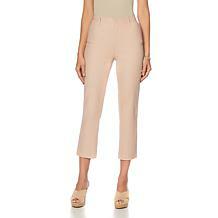 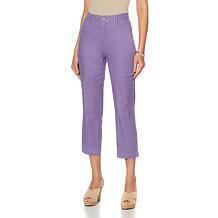 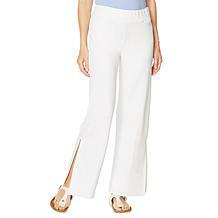 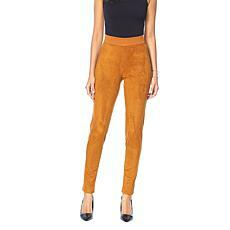 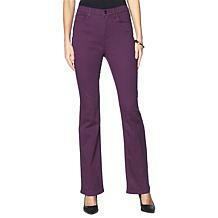 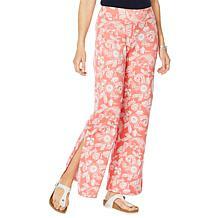 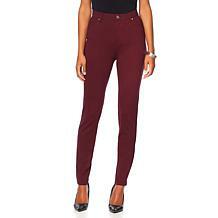 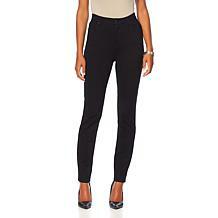 Pull on these gabardine trousers for a sharp business ensemble or pair them with a pretty blouse for casual elegance. 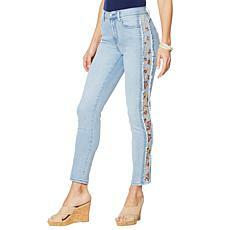 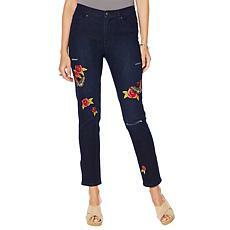 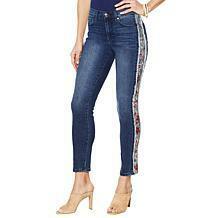 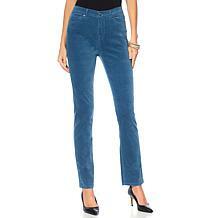 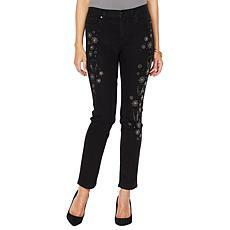 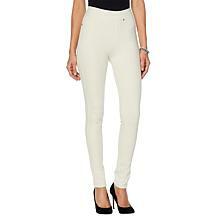 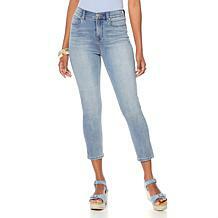 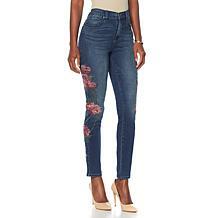 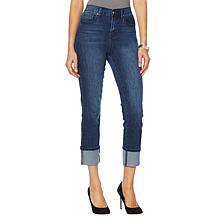 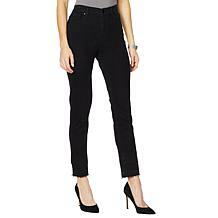 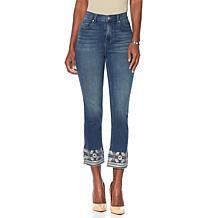 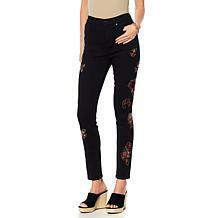 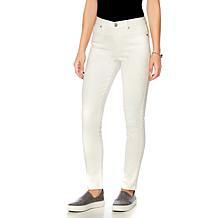 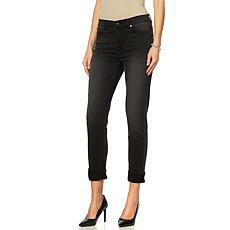 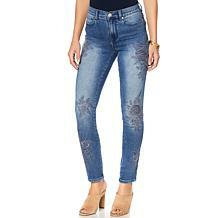 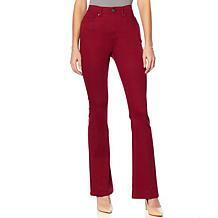 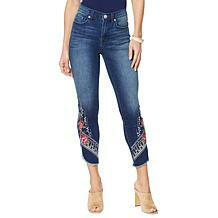 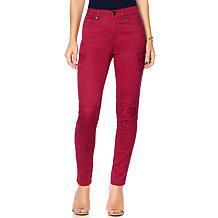 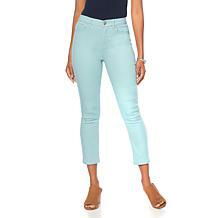 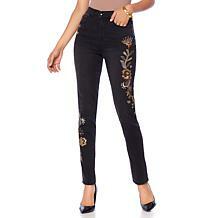 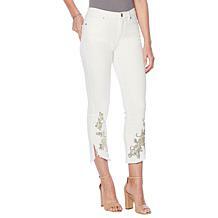 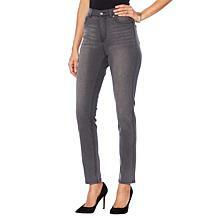 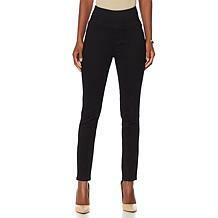 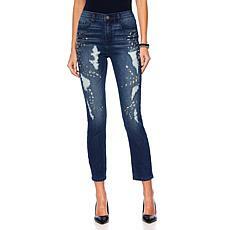 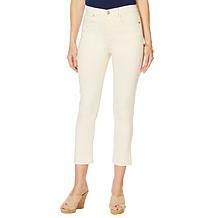 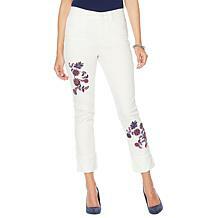 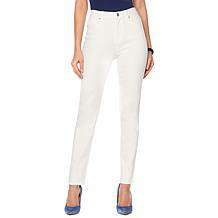 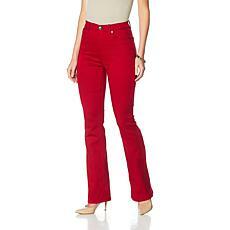 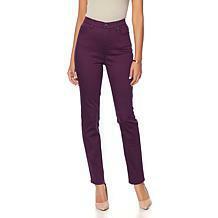 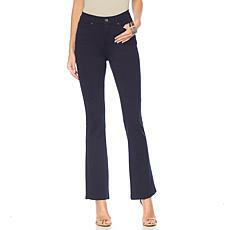 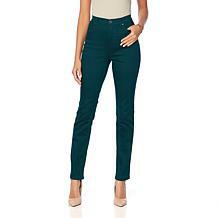 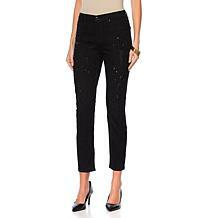 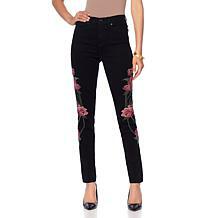 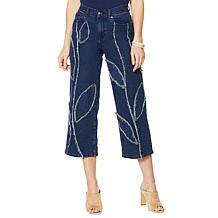 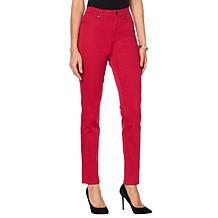 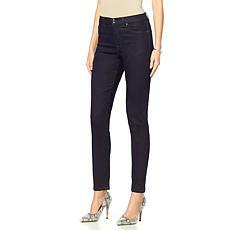 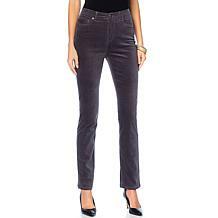 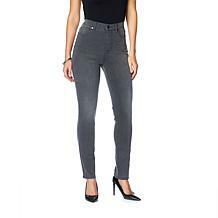 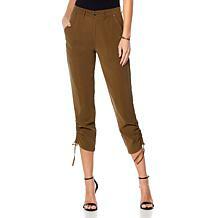 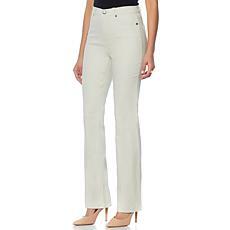 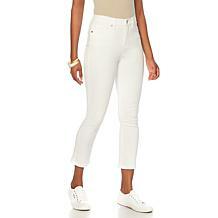 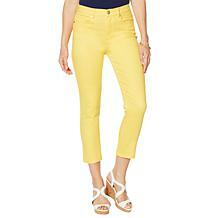 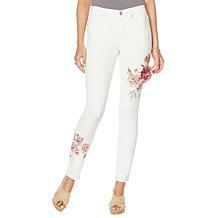 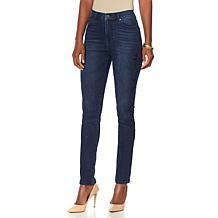 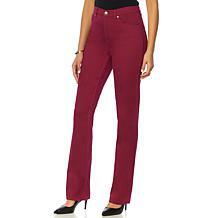 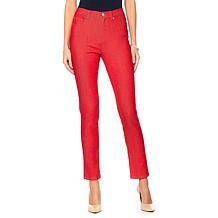 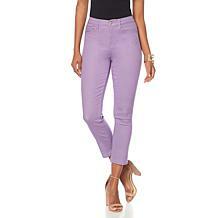 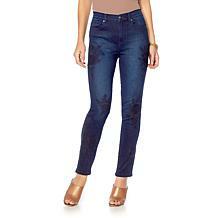 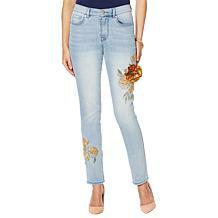 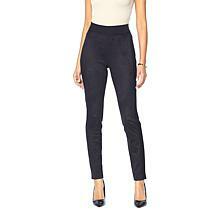 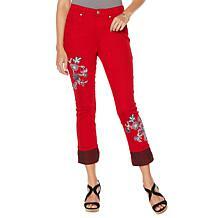 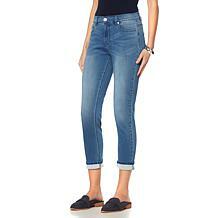 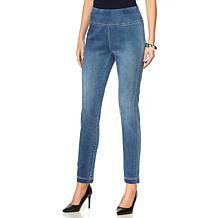 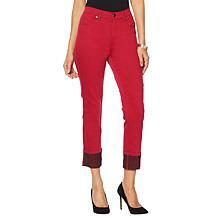 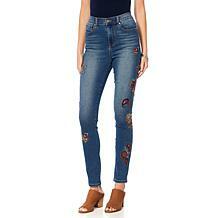 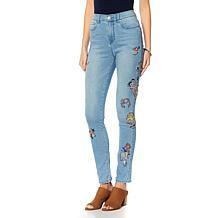 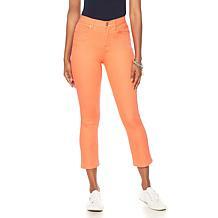 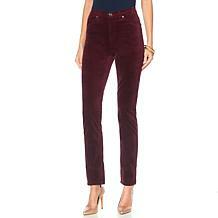 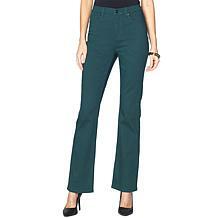 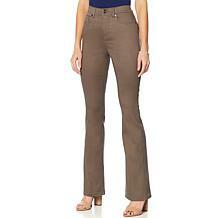 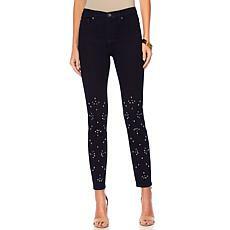 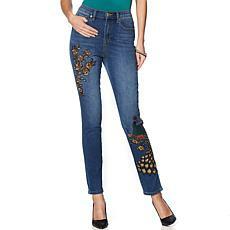 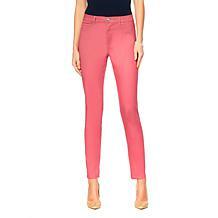 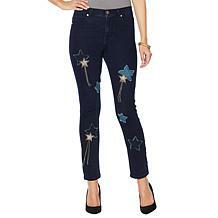 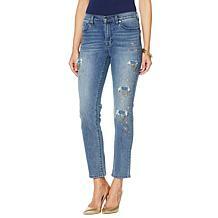 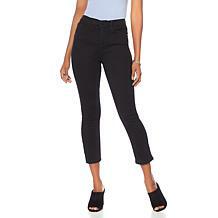 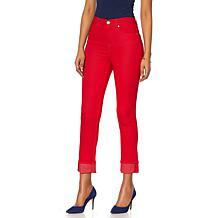 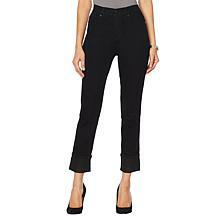 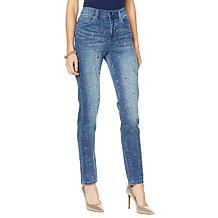 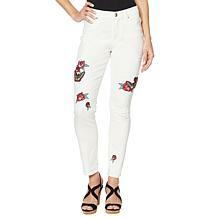 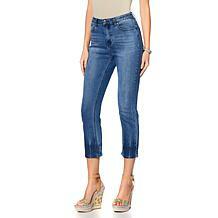 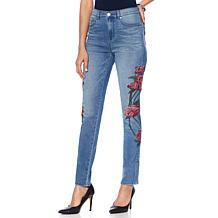 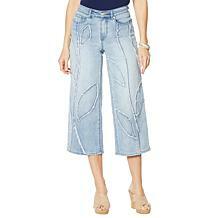 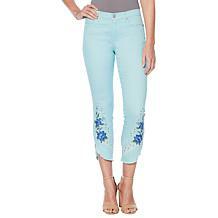 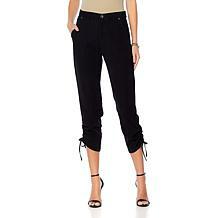 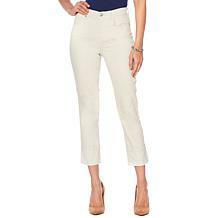 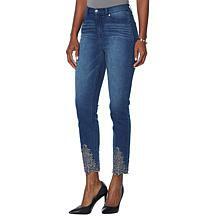 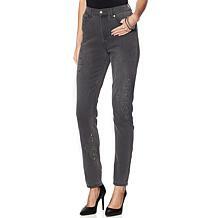 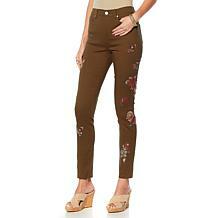 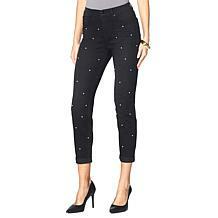 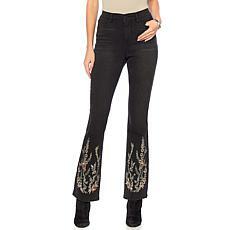 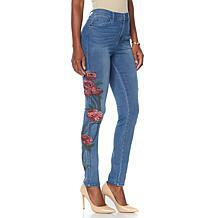 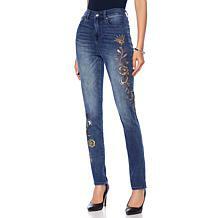 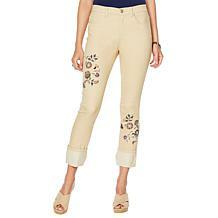 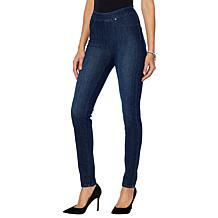 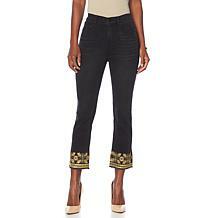 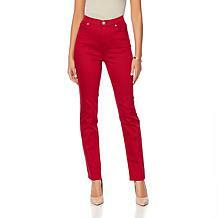 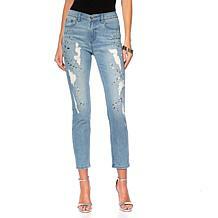 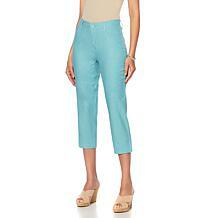 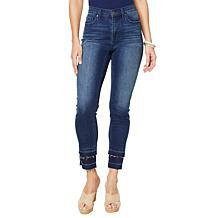 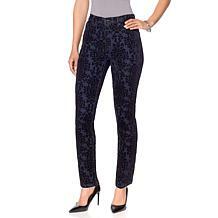 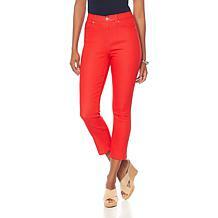 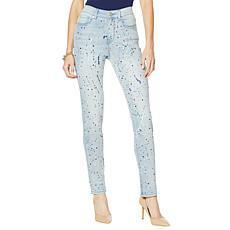 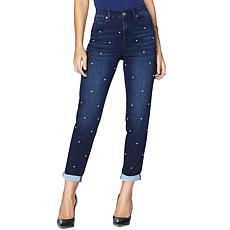 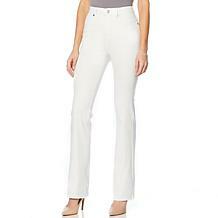 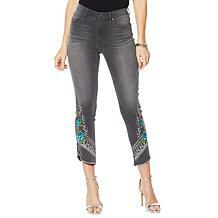 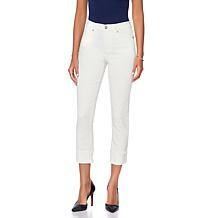 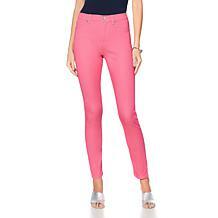 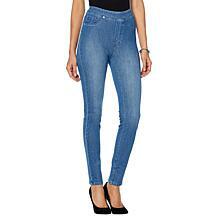 DG2 by Diane Gilman Classic Stretch Embroidered Hem Jean Head-turning jeans are the way to go for nights out. Pair these cropped jeans with your prettiest shoes to make the most of the embellished hemline. 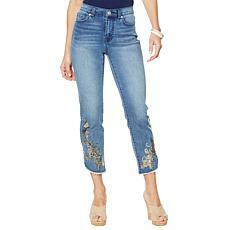 A scattering of faux pearls adorn this cuffed girlfriend jean, adding just the right bit of bauble for stand-out style.